Well, Mother Nature certainly hasn't let up on the heat this week as we have neared record temperatures a few days and even tied the record high yesterday. For the near future, things do not appear to change. Highs will remain above average and way too hot for October if you ask me. Rain chances will remain isolated at best. We do have some exciting news as we look ahead towards the middle to end of next week, so you'll just have to keep reading to find out what it is. We've already reached the upper 80s today with no intentions of stopping there. Plenty of sunshine will help temps to continue to climb this afternoon as we near our high of 91. Why won't these summertime temperatures go away? Well, we have a high pressure currently parked over much of the southeastern U.S. and until something can push this high pressure out, our temps will remain above average unfortunately (or fortunately if you like the hot weather). Temps will fall to 73 overnight under a clear sky. 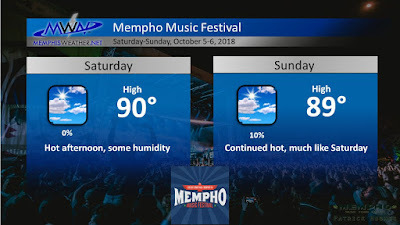 Busy weekend ahead here in Memphis with the Mempho Music Festival and the University of Memphis homecoming game Saturday evening. Depending how you look at things, Mother Nature has provided some good and some meh for this weekend's weather. The good news is that rain chances will remain minimal, so most of us won't have to worry about rain chances "raining on our parade". This means that sunshine will be around through the entire weekend. The not so good news is that we won't really see any relief from the well above average temperatures we have been experiencing. Highs will tip toe to near 90 both days this weekend with heat index values reaching even higher than that. This may be a bit strange to stay for October, but sunscreen and plenty of water is advised for this weekend. 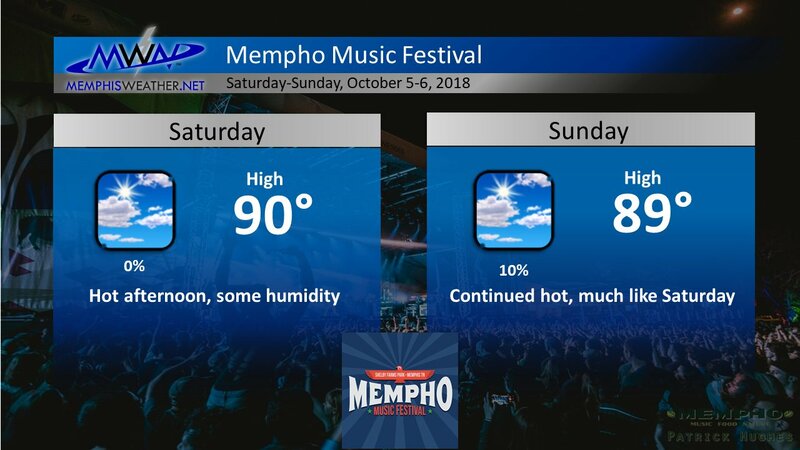 With all of these fun, outdoor events, don't let the calendar date fool you; it'll honestly feel more like August than October this weekend. 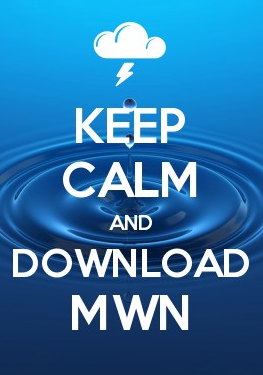 Try to stay cool folks! For the first half of next week, things look to remain the same. Southerly winds will continue to usher in muggier temperatures with highs in the mid to upper 80s and overnight lows in the lower 70s. Dewpoints will remain in the upper 60s, with isolated thunderstorm chances in the afternoons. But wait, there is a glimmer of hope as we look to next week. Medium-range models are hinting at a cold front passage towards the middle of next week, which could bring some decent showers and thunderstorms along with cooler temperatures behind it. While we can't make any promises, this front should usher in some highs in the 70s, which would be really nice to have given the above average streak of high temperatures we're currently in. This is several days away, so timing and location of the front could still change. However, at least there is a hope that cooler temperatures are on the horizon.